Lance Armstrong, who won the Tour de France seven consecutive years after overcoming testicular cancer, and his girlfriend Anna Hansen. announce the birth of their son, Max, on Twitter. Lance Armstrong and his girlfriend Anna Hansen just finished a nine-month marathon. She pushed a lot harder than he did. The couple welcomed their son, Max, into the world Thursday night. Armstrong, who won the Tour de France seven straight years after overcoming testicular cancer, announced the birth of his Twitter. The proud papa even posted a picture of the newborn, playfully sticking his tongue out at the camera. "Wassup, world? My name is Max Armstrong and I just arrived. My Mommy is healthy and so am I!" Armstrong posted to his account at about 11:15 p.m.
Armstrong and Hansen announced in December that they were expecting a baby in June. Armstrong also has three children with his ex-wife, Kristin. About 15 minutes after his birth tweet, Armstrong sent another message praising the doctor and nurse who helped deliver the newborn, saying they were amazing. He then posted that Max weight 7 pounds, 5 ounces and was 20 inches long. 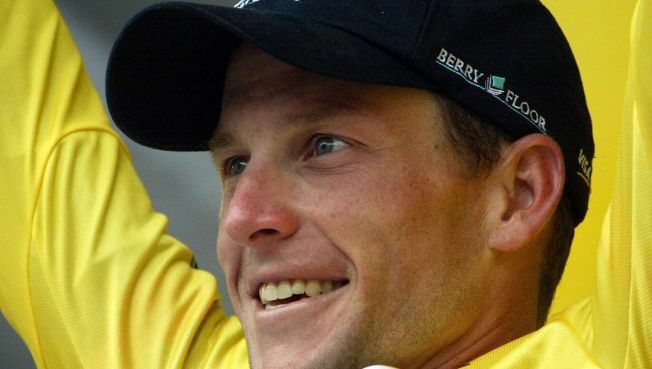 Three years after retiring following his last Tour de France win, Armstrong announced in September his return to competition and cycling's marquee race in 2009. He called his comeback an attempt to raise global awareness in his fight against cancer. Armstrong competed in the Giro d'Italia in May, finishing 12th overall. He did not speak to the media for the final two weeks, but announced on his Twitter page after the race that he was headed home to await the baby's arrival. The Tour de France begins July 4.